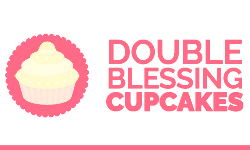 In these terms and conditions, “we” “us” and “our” refers to Double Blessing Cupcakes (ABN 79 949 840 049). Your access to and use of all information on this website including purchase of our product/s is provided subject to the following terms and conditions. You may view the content on this site using a web browser solely for personal and non-commercial use. We reserve the right to refuse service to anyone for any reason at anytime. We reserve the right to discontinue any product or services that we offer and to limit the quantities of any products. All prices are in Australian Dollars (AUD) and are inclusive of GST. We endeavour to ensure that our price list is current. We reserve the right to amend our prices at any time. If you have placed an order, we reserve the right to cancel your order should our prices change. Images have been provided for illustrative purposes only and we do not guarantee that any image will reproduce in true colour nor that any given image will reflect or portray the full design or options relating to that product. We reserve the right to change all aspects of our products. Packaging and delivery is an additional charge, calculated at time of purchase. When you order from us, we require you to provide your name, residential address, address for delivery, your email address and telephone contact details. We undertake to take due care with this information; however in providing us with such information you accept that we are not liable for its misuse due to error in transmission or virus or malware. With your permission, we may send you emails about our store, new products and other updates. If we ask for your personal information for a secondary reason, like marketing, we will either ask you directly for your expressed consent, or provide you with an opportunity to say no. Delivery of your ordered product/s will be as set out on our website. Title in the goods passes to you when we have received payment and baked. Our terms of payment are set out on the order. All risk of loss or damage to the goods passes to you when we despatch the goods. If the product is damaged on arrival, we will provide you with an adequate discount or try to fix the order for you back at our bakery depending on the severity of the occur it occurred before it was handed to the customer. We are not responsible once the customer has received it. If our stands are damaged in a way that they cannot be used again or are physically damaged looking, the customer does not receive their deposit back. We undertake to replace you for any product delivered to you that is faulty or is in a damaged condition. If you wish to return a faulty or damaged product, you must notify us through our designated “contact us” webpage where we will advise you of our requirements relating to return of such goods or refund. Alternatively you can phone us on our main number. If the product has been damaged or is faulty in anyway, you must either immediately return for staff to inspect it or photograph the evidence and email the images. If we are unable at the time of return to replace or exchange returned goods, we undertake to reimburse for the amount initially paid for the purchase including packaging and delivery charges. Once you have notified us through our website that you wish to return faulty, or damaged, you may make arrangement with us so long as you provide valid proof of purchase eg. tax invoice, receipt and/or packaging slip. Our store is hosted on PayPal. They provide us with the online e-commerce platform that allows us to sell our products and services to you. Your data is stored through PayPal’s data storage, databases and the general PayPal application. They store your data on a secure server behind a firewall. The copyright to all-content on this website including applets, graphics, images, layouts and text belongs to us or we have a licence to use those materials. Any comment, feedback, idea or suggestion which you provide to us through this website becomes our property. If in future we use your Comments in promoting our website or in any other way, we will not be liable for any similarities which may appear from such use. Furthermore, you agree that we are entitled to use your Comments for any commercial or non-commercial purpose without compensation to you or to any other person who has transmitted your Comments. By accessing our website and purchasing from us, you agree to indemnify and hold us harmless from all claims, actions, damages, costs and expenses including legal fees arising from or in connection with your use of our website or purchase from us. If a Force Majeure event causing delay continues for more than less than 24 hours, we may terminate this Agreement by giving at least less than 24 hours Notice to you. “Force Majeure” means any act, circumstance or omission over which we could not reasonably have exercised control.